Sara Yanney, MFA, GL-CMA, CET, is a Modern/Contemporary dance educator, choreographer, and performer currently based in Salt Lake City, UT. She is the artistic director of The =ibrium Dance Project, founded in 2012, which has shown work in IL, IN, MI, NJ, NM, NY, OH, UT, and WI and internationally in Canada and Haiti. 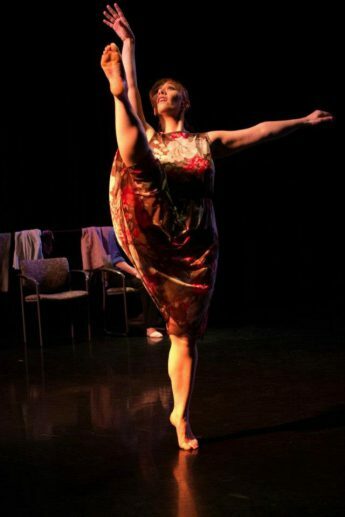 She has performed with the Bill Evans Dance Company, Blue Tribe African Dance Company, Blythe Edens Dance Company, Indy Convergence, Gran Lakou Haitian Folkloric Dance Company, The New Mexico Contemporary Dance Alliance, Motus Dance Theatre, SMAG Dance Collective, and Wellspring/Cori Terry & Dancers. Sara has served on faculty at Ball State University, Anderson University, and Utah Valley University, was the founder/director of Jump Into Motion Dance Academy, which offered affordable dance and movement education to children at their schools and day cares in the Indianapolis and Kalamazoo areas for over 10 years, and is certified in the Bill Evans Method of Teaching Laban/Bartenieff-Based Modern Dance Technique. She is training to become a certified Alexander Technique teacher, received her GL-CMA (Graduate Laban-Certified Movement Analyst) from Columbia College Chicago in Fall 2016, her MFA in Performing Arts: Dance at the Peck School of the Arts, University of Wisconsin-Milwaukee in 2016, where she was a recipient of the Chancellors Graduate Student Award, and received her BA in Dance from the University of New Mexico in 2003 with departmental honors and received the Friends of Dance Scholarship, The Provost Award for Artistic and Academic Achievement, The Bill Evans Dance Teachers Intensive Scholarship, and the Barbara Kiker Award for Excellence in Dance.